UNIVERSITY HEIGHTS, OH – Today, the Trump administration has undermined the dignity of undocumented individuals by repealing the Deferred Action for Childhood Arrivals (DACA) program in the coming months. 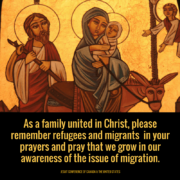 As people of faith, we are called to uphold the inherent dignity of our immigrant brothers and sisters, to stand with those marginalized by a broken immigration system, and to recognize the gifts and talents that these young people bring to our communities. 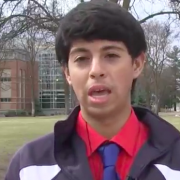 Through our work in partnership with Jesuit schools, parishes, and social ministries across the country, we continue to hear stories of DACA recipients who enrich their communities. We have witnessed firsthand the contributions that DACA recipients in our Ignatian network make as campus and community leaders. However, it is these same recipients who have shared with us tremendous fear regarding their ability to complete their education and pursue careers, their safety and the safety of their families, and their ability to remain part of communities that they have called home and contributed to for a significant portion of their lives. 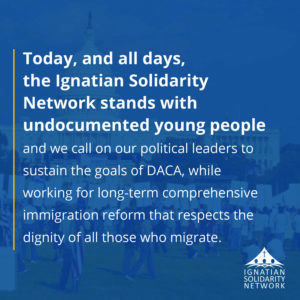 Today, and all days, the Ignatian Solidarity Network stands with undocumented young people and we call on our political leaders to sustain the goals of DACA, while working for long-term comprehensive immigration reform that respects the dignity of all those who migrate. 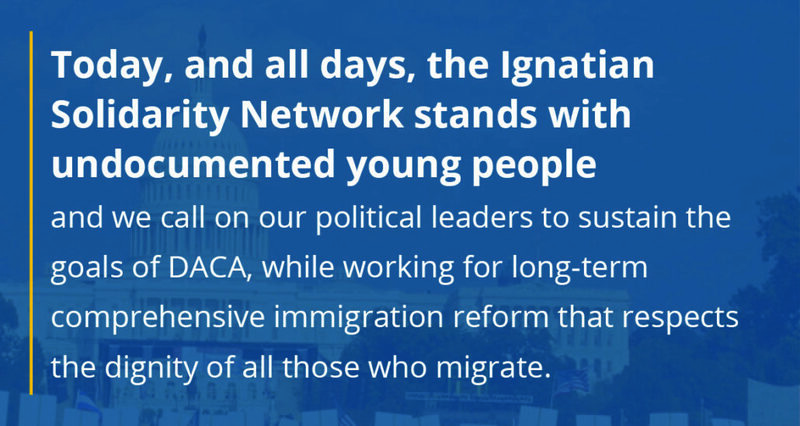 We ask you to join the Ignatian Solidarity Network in lifting up the call of the U.S. Catholic Bishops by urging your Congresspersons to co-sponsor the Dream Act, S. 1615 / HR. 3440. This whole immigration process that is supported by the Jesuits is based on a flawed law. From an intellectual basis all support for this flawed(Executive Action) By Obama is immoral and illegal. 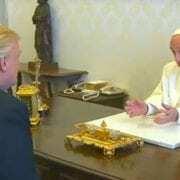 Normally the Jesuits have been more loving of all peoples and not just illegal immigrants. Seems to me that political correctness is now the law of the Jesuits. Young lives – they have a mission to protect the Planet for the current and future generations of citizens. Words Matter: On Cookies and Conversion Stand in Support of DREAMers: Take Action!